Working independently and under the general supervision of the Benefits, Leaves and Workers' Compensation Manager the incumbent is responsible for supporting the daily operations of the benefits, leaves and workers' compensation office. 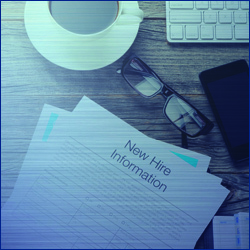 Incumbent will provide a full range of moderate to complex administrative coordination of Worker's Compensation and Leaves Programs for CSU Chico State employees. Responsibilities include the application and adherence to guidelines in accordance with laws, regulations, collective bargaining agreements, and procedures related to employee leaves of absence and worker's compensation. Incumbent will assist with confidential and sensitive issues, coordinating with the employees, departments, and others to ensure the processes regarding an employee's leave are done timely, documented and communicated efficiently. Areas of responsibility include; providing information regarding eligibility, benefit provisions, rates, enrollment and claim procedures for the mandatory state-financed and voluntary benefit programs which includes: Health, Dental, Vision, Retirement, Dependent/Health Care Reimbursement Account, Flex-Cash Reimbursement Program, Employer-Paid Life/AD&D and Long-Term Disability Programs, Deferred Retirement Accounts, Trustee's recommended Voluntary Insurance Programs, and regulations governed the Consolidated Omnibus Budget Reconciliation Act (COBRA), the Affordable Care Act (ACA) and the Health Insurance Portability and Accountability Act (HIPAA). As a subject matter expert in the operation and maintenance of benefits processing, incumbent will utilize the CMS PeopleSoft HR System to create and update employee benefits records, for the timely transmission of information to appropriate entities. This includes sending an electronic interface and/or creating source documents from PeopleSoft to the State Controller's Office, California Public Employees Retirement System (CalPERS) and other benefits vendors. Two years of full-time administrative work experience involving study, analysis, and/or evaluation leading to the development or improvement of administrative policies, procedures, practices or programs. Incumbent/applicant will need to be able to perform the essential job functions (duties) of this position with or without reasonable accommodation. This position alternates between remaining in a stationary position operating a personal computer for long periods of time and frequently moving about inside the office. Must be able to travel across campus to other offices and buildings on campus for meetings and events. Work is performed in an busy office environment operating standard office equipment. Overtime work hours may be required during times with heavy workloads such as the annual benefits open enrollment and document processing period.